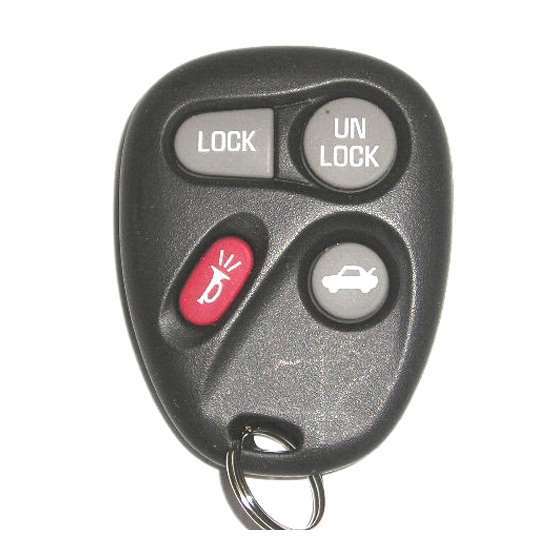 This keyless remote programming instructions work for used to be 2070, 2220, 2221, 2230, 2231, 2240 remote with part # 15732805, 25656444, 25656445, 25665574, 25665575, 25628814, 25668603, 25678792 FCC id KOBUT1BT and part # D board on the back of it. ATTENTION: Make sure you have all your remotes handy to reprogram them since the system will delete all remote's codes saved in the system once a new remote has been successfully programmed. 5. Put the key in the ignition and remove it 3 TIMES then leave the key in the ignition on the 3rd time. 6. Release the door lock switch. Then you'll hear three beeps which means Programming Mode has been turned ON.